https://www.smashwords.com/books/view/709431 Use Coupon XW86E at checkout. You may want to pop by my website and read this entire post. Today’s challenge is slightly different from my usual ones. You’ll note, there is a link to an e-pub of my novel and a coupon that makes it free. I am currently testing the ‘organic reach’ of my social media accounts. The fact that you are reading this post means that YOU are my magic ‘interaction’ unicorn and you deserve a prize. No, this does not mean you have to get a copy of my book (though I won’t say no if you do). This is where the ‘opportunity’ portion of my post comes into play. I invite you to link one of your works (novel, short-story, poetry, art, recipe, or social media account/website) with today’s submission. Note: you do not have to include a coupon to make use of this; I leave that entirely up to you. I look forward to seeing what you link. Post your six-word story and personal link on my website, FB, or wherever you happen to find this post. Or rather, I was back on June 9th… Sorry it’s taken this long to get to publishing this, but I’ve had a lot to do in the last few weeks. What did I do to deserve this? As it turns out, means that someone was impressed enough with my blog to think it warranted some extra love. Thank you seejaystark! seejaystark is the person behind my nomination – Thank you so much. It means a lot to know that you enjoy my six-word stories (and other occasional offerings). You can find him here on Instagram and Twitter. 1) When emptying the dishwasher, what is your least favorite thing to have to put away? Cutlery. Invariably, I drop it and end up impaling my feet with butter knives. 2) Who’s your favorite muppet? Kermit. It’s not easy being green. 3) How many pets have you had? Eleven. Two dogs, ten cats, all loved. 4) What is your favorite non-alcoholic beverage? 6) Your plane, which is for some reason carrying a copy of every music CD ever created, is crashing on a deserted island. You have time to only save 1 CD. This will be the only music you can listen to until you’re saved… IF you’re saved (dun dun dunnnnn)… what disc do you grab? If I’m allowed to squeezle here and be a rules lawyer; you say a copy of every music CD ever created? That includes copies that I’ve burned/created which are compilation disks. I’d choose writing disk 2. It has a mix of music from the 60s through 2000s. If I can’t squeezle, then I’d pick “Automatica” or “Solar Echoes” by Nigel Stanford, or “Exhale” by Koan. 7) What piece of work, created by you, are you most proud of right now? 8) What fictional world would you like to live in? 9) What’s your favorite kind of cheese? 10) Which of your OC’s (Original Characters) is most like yourself? Ha! All of my brain babies are like me in some way or another… to be fair Nash has the majority of my personality quirks. 11) What color/pattern are your bed sheets? Solid colors – Chocolate, or cream. Nominate 11 other bloggers. I follow close to 150 people and everyone on my list deserves to be nominated. I spent hours agonizing over my choices and finally arrived at the following. 3. Who in your life (living or dead) provided you with the best inspiration? 4. What book would you recommend that everyone read? 6. Hypothetical: You’re a well-paid guinea-pig being abandoned on a remote tropical island for an extended period (several years). You have ample food supplies, shelter (even indoor plumbing), electricity, and a decent computer… but the internet is nonexistent, and you will have no human contact. One of the scientists takes pity on you and will leave you an external drive with movies, TV/Netflix series, games, and books on it, but the catch is it can only be one genre. Which genre would you choose? 8. When you’re being creative, do you prefer quiet or some form of sound (music, audiobook…) in the background? 9. What can move you more, images or words? 10. If you could be assured of accomplishing one thing with your life, what would be your magnum opus? This I shall do today. Thanks so much for the nomination Jenn! Thanks you so much for the nomination Rogers. Congratulations, Jenn, and thanks for the nomination! Your blog deserves all the best awards! Congratulations on the award Rogers. Here is today’s 6wordstory. Offer with an offer -the award. – Looking forward to reading your offer, Jenn; downloaded to my kindle for my holiday reading next week! Aw, thanks. I hope you like sci-fi. I’ve returned the favor and added ‘A Sextet of Shorts’ to my kindle. Hey, thanks! Hope you like when you get the chance to have a read! 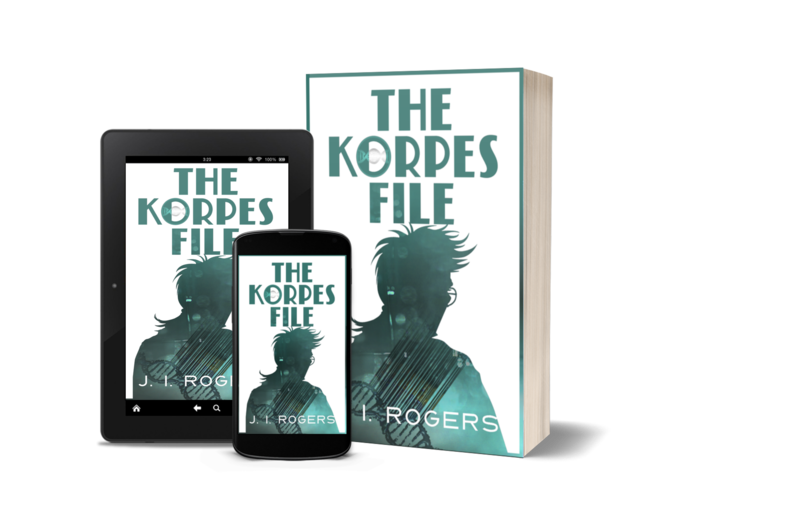 I do like sci-fi and I finished ‘The Korpes File’ a few days ago; it was really, really good (reviewed on Goodreads today). Volume 2…when please..? Can’t just leave Nash now!! 😀 Thank you SO much! Book 2 is due out a little later this year (I just updated the page – see upper menu ‘The 942 Series’). Your book is next on my TBR list; I’m certain I’ll love it. Six short stories, different genres? Yum. Just popped back to check what I need to do for the award! Hope to have something out in the next day or two… just your Q6 – oh dear, what to choose?!! 😀 Excellent – I look forward to reading it! That is a lot of cats, friend… But, I dare say that I, at one point, had more! The most I had at one time was 19 cats and 2 dogs. We used to find homes for cats. Sorry for the delay in replying, but the spam filter stole your message. ❤ to you for finding homes for cats. To clarify though, I've had many cats, spread out over the years (the most was 2 at the same time). Offering: All the acorns appeased Great Squirrel. Sounds awesome. Have a safe trip.